JEC World is the only trade fair bringing together the global composites industry. It is held every year in Paris-Nord Villepinte, France and it represents 115 countries thanks to its 1,300 exhibitors. In 2018, JEC World recorded more than 43,000 professional visits. Cédric BEAUNE will be at your disposal on the Starplast booth at JEC World 2019. Our booth will be located in the Nouvelle Aquitaine area. This show will take place from March 12th to 14th, 2019. Starplast looks forward to your visit. 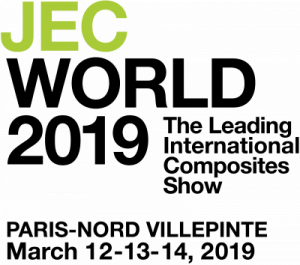 The link below will provide you with more information about JEC World 2019.